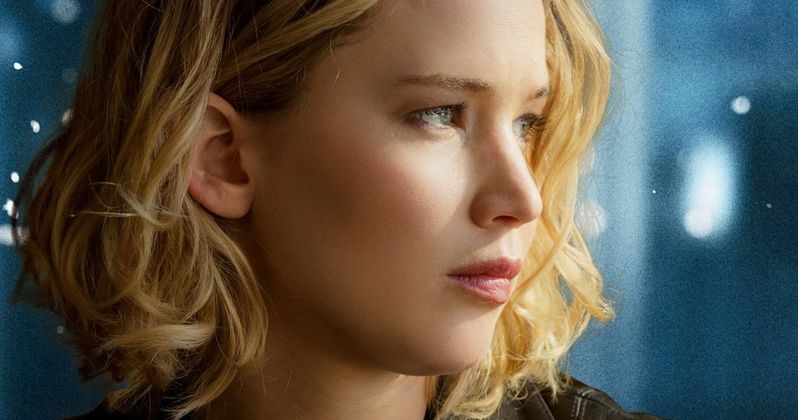 Perhaps you were too busy waiting for Avengers: Endgame to notice that we haven't seen much of Jennifer Lawrence lately. Sure, she was spotted getting killed off by Jean Grey in the latest trailer for the long awaited Dark Phoenix, but the actress has been on a short sabbatical. She has returned to announce her next movie, though. And it sounds like it should be pretty good. The Untitled Jennifer Lawrence A24 Movie movie has brought in acclaimed and very in-demand New York stage director Lila Neugebauer, who will be making her feature film directorial debut with Jennifer Lawrence's next swing at bat. First time screenwriter Elizabeth Sanders is responsible for the script, with seasoned producers Scott Rudin and Eli Bush rounding out the team. Jennifer Lawrence decided to take a year off back in 2018. Her vacation is over, and she's found a group of talented newcomers to help launch her back into the big time. All story details are being kept under lock and key for the time being. The movie will be a return to the Oscar-winning actress' early indie film roots, with her breakout role in Winter's Bone getting a nod in that direction. A24 is distributing the movie, producing alongside Scott Rudin and Eli Bush at IAC Films. Lawrence and Justine Polsky are also attached as producers through their newly formed banner Excellent Cadaver. Though she hasn't worked for over a year, fans will get to see Lawrence back on the big screen this summer, when Fox's long-delayed final X-Men movie opens June 7. Jennifer Lawrence's next project will begin production sometime around Mid-June, with shooting taking place in New Orleans. Director Lila Neugebauer had this to say about the upcoming project. "It's an intimate film that wants to be close to the bone and wants to be quite personal. It's something that I've hoped to do and has been in the back of my mind for some time now. I directed my first episode of television last spring, on the Duplass Brothers' HBO show Room 104. That was a really lovely opportunity to get behind the camera, because the throughline of that anthology show is that they're all set in the same hotel room, so in a way, they're sort of all one-act plays. It was a very natural fit." Lila Neugebauer is known for the subtly of her productions, which are being called 'ultra-naturalistic' with 'seamless ensemble work'. Neugebauer's acclaimed off-Broadway work includes Sarah DeLappe's The Wolves, Annie Baker's The Antipodes, Branden Jacobs-Jenkins' Everybody, Edward Albee's At Home at the Zoo and Tracy Letts' Mary Page Marlowe. She finally made her Broadway debut recently with a revival of Kenneth Lonergan's The Waverly Gallery which featured Elaine May, Lucas Hedges, Joan Allen and Michael Cera. Jennifer Lawrence's latest foray into feature films is actually the second new project coming from IAC and A24, announced in the past couple of weeks. Previous, they have paired on such attention grabbing indie projects as Lady Bird, Eighth Grade, Mid90s and Ex Machina. They will be moving forward on an adaptation of Stephen Karam's 2016 Tony Award winner for best play, The Humans. Karam is writing and directing the movie himself, with Beanie Feldstein, Richard Jenkins, Amy Schumer, Steven Yeun and Jayne Houdyshell all on board.